Ivan Massow, an openly gay entrepreneur and businessman, has launched his campaign to become the next mayor of London with a candid video on YouTube. 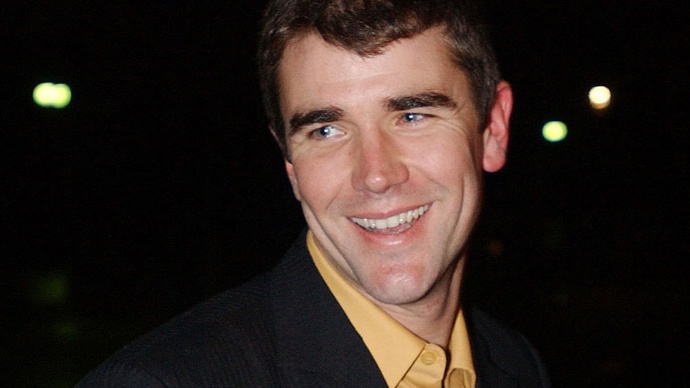 In the cartoon video, Massow described himself as “gay, ex-alcoholic and dyslexic,” saying that he wants Londoners to see an “honest warts-and-all” presentation of him. “I’m Ivan and I want to be your mayor of London,” he says. The Conservative MP, who originally hails from Brighton, shared an apartment with Tory MPs Michael Gove and Nicholas Boles for a brief stint during the 1990s. He joined the Young Conservatives during his teenage years, and chaired the group at the age of 14. Massow, whose company is worth an estimated £20 million, made headlines earlier this year when he announced his intentions to co-parent a baby with a lesbian couple. Other Tories hoping to become the party’s candidate for next year’s election include the former footballer Sol Campbell and the current Deputy Mayor Stephen Greenhalgh. Massow’s video comes as Dame Tessa Jowell, who stood down as an MP this year, officially launched her bid to become the Labour Candidate. She joins other Labour MPs Diane Abbott and Sadiq Khan, who have both announced their intentions to run for the position. “In many ways London is the greatest city in the world — a byword for ingenuity, for tolerance and for optimism… My ambition — our ambition — is to make London greater still. To build One London, where every Londoner has the opportunity and security to succeed, where Londoners have a quality of life to rival anywhere in the world, where no Londoner is left behind,” Jowell said at the London launch.